New York Painting Services is completely licensed and insured to supply commercial businesses and residential homes across New York to New Jersey with a plethora of contracting services. Our crew has years of experience, advanced training, and natural skills that are amplified with the use of high-end quality products, supplies, equipment, and tools, exclusively offered to licensed professionals. Continuing to adhere to high moral standards and work ethics, family-friendly customer service, and superior execution on all services rendered on a consistent basis, we will soon be your preferred choice whenever a project arises. Without completely gutting your little sanctuary to your residential bedroom throughout New York to New Jersey, there are still a number of ways, or a combination of ways to alter your bedroom to modernize it or if you are just craving a change. 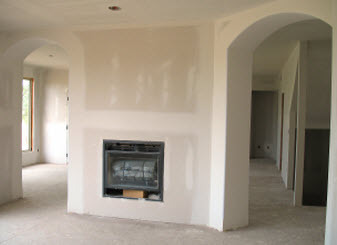 For the unexpected drywall problems, New York Painting Services experts repair or replace the damaged drywall, offer painting, wallpaper install or removal, baseboard, crown molding, popcorn ceiling install/removal, add new textures or faux painting, and so much more to alter the look of your bedroom. Your bedroom is your place of peace and quiet, where relaxation is mandatory to end and/or begin the day. Paints or wallpaper choices should be partial to the psychology of soothing and relaxation. Softness is the way to go, heather gray or dark gray coupled with delicate shades of pink, blue, or neutral colors will contribute to a peaceful atmosphere. Add together some fun textures, or faux textures, accents, or something well blended can get your bedroom modernized while still offering a perfect place for meditation, relaxation, and peaceful nights. With New York Painting Services performing the interior paint job in your bedroom of New York or New Jersey residential home. New York Painting Services includes a crown molding, a perfect and elegant accessory for any bedroom to blend the ceiling into the wall, or dress it up. Made from wood or other materials of mold, the crown molding can be shaped in a wide variety of ways and painted to create a soft blend or a bold statement to appeal to anyone’s tastes. Baseboards can also be installed on the floor to blend the wall seam into the flooring that can match exactly or similarly to that of the crown molding to bring it all together. 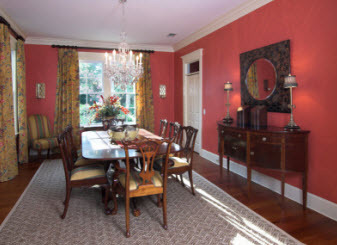 Wallpaper is a classic trend that will never fade, but on the other hand, some folks could also desire a change, whether you want your current removed or a new wallpaper installation service, New York Painting Services can conduct the service quickly and efficiently to your New York/New Jersey residential home. Additional services popcorn ceiling removal and/or installing various other textures to the ceiling is easily accomplished with New York Painting Services to complete your personal paradise in your residential home from New York to New Jersey. 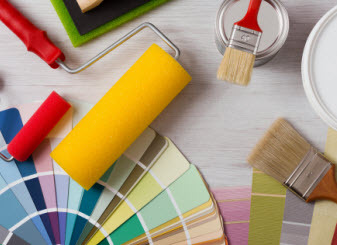 No matter your interests to improve the set of the bedroom or bedrooms of your home in New York and New Jersey, New York Painting Services has the experience and expertise to make it happen. From the consultation, to set up to execution, to clean up, we will get the job done as quickly as possible with maximum quality. Call us today to get started!